It might not come as a surprise to regular readers of this blog that I, S.J. 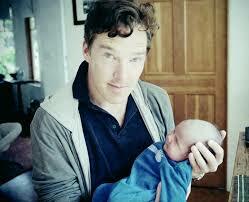 O’Hart, am rather a fan of the actor Benedict Cumberbatch. The aforementioned Maxim is a 6’3″ tall 36-year-old bachelor and scholar described as having “a voice that sounds like moonlight, if moonlight could talk.” He is a passenger on the ‘Queen Mary’, a liner which – as the novel opens – has just finished the process of sinking. He rescues a tiny baby from the water – she is floating in a cello case, which becomes a central image in the novel – and immediately decides to love and care for her as though she were his own. He names her Sophie, because it seems apt, and he holds on to her despite the disapproval of the National Childcare Agency and their continual attempts to remove her from him. Under his gentle, eccentric and utterly loving care, Sophie grows into a tall, confident and intelligent twelve-year-old who only has one thing lacking in her life – her mother, of whom she has distinct and inexplicable memories despite the fact that she was barely a year old when she last laid eyes on her. Eventually, the National Childcare Agency issues an ultimatum – surrender Sophie to them, or face punishment. So, naturally, Charles and Sophie decide to skip the country. From a clue accidentally discovered, they decide to go to Paris as – they hope – Sophie’s mother may be there. Charles, like most other adults, believes that Sophie’s mother went down with the ‘Queen Mary’, and that Sophie couldn’t possibly remember her, but, as he has taught Sophie throughout her life, ‘never ignore a possible.’ So, he resolves to overcome his own doubt and help Sophie in her search. And thus, Sophie’s career as a rooftopper begins. Now, there was so much about this book that I loved. I can’t say enough about how much I adored Sophie and Charles’ relationship, which was – very clearly – a parent/child relationship, but also one between equals, wherein Sophie’s intelligence, agency and independence were respected. I adored Katherine Rundell’s use of language, which shines with beautiful, polished, exquisitely realised turns of phrase. I loved the use of music, both that played on the cello and that sung by human voices, and I really enjoyed the world she creates on the rooftops of Paris. But. But. There were things that spoiled the novel for me, too. Firstly, there’s so little logic in Sophie’s search. 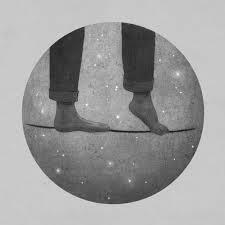 She works out, for instance, where the records for the ‘Queen Mary’ are probably being held, but – instead of going straight there, with Matteo’s help – she spends ages learning the life of a rooftopper, eating pigeon and walking on tightropes and so on. In some ways this is amazing; in others, it’s annoying. Sophie is incredibly intelligent, so the fact that it doesn’t occur to her to search for the ship’s records for so long is irritating. Then, there’s the fact that the end happens so suddenly, after such a long and lyrical build-up, and it’s so incredibly unrealistic. Now, I know the whole book is rather like a dream or a fairytale, filled with whimsy and delicate beauty, and I accept all that, but the first half (perhaps even three-quarters) of the book is so beautifully paced (despite Sophie’s slowness in putting the pieces of her puzzle together) that the end feels like a slap across the face. I just – I really didn’t like the end. Some people think it fits with the fast pace of the novel overall, and feel that it fits with the musical theme of the plot, but I was left frustrated by it. But, the book is filled with life lessons like ‘Never underestimate children,’ and ‘Do not underestimate girls,’ and ‘Books crowbar the world open for you,’ and ‘there are people who would come out in a rash at the sight of a broken rule.’ It is filled – stuffed – with some of the most gorgeous language I’ve ever read, including some of the most startlingly original metaphors I’ve ever seen, which I delighted in. I loved all the characters, though I really thought some of them were underdeveloped. I’d have read a book about Matteo and his friends, alone – which is, of course, a good thing. In short, it’s a definite recommendation, but I’ll warn you now that you’ll fall in love with Charles Maxim. It’s impossible not to. In fact, you’ll fall a little in love with all the characters in this book, and that’s a beautiful thing. Katherine Rundell is a great talent. 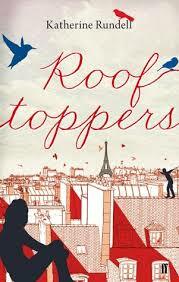 ‘Rooftoppers’ is not a perfect book, but it’s not far off. This entry was posted in Book Reviews and tagged Benedict Cumberbatch, book review, book review Saturday, book reviews, cello, Charles Maxim, children's book, excellent children's books, Katherine Rundell, Matteo, Paris, Rooftoppers, Sophie Maxim, Vivienne Vert on April 19, 2014 by SJ O'Hart. Recently, I’ve been looking over some of my old notes from university and some of my old teaching material from when I was a tutor of Medieval English Language and Literature. I sometimes wonder whether I was a good tutor, and whether any of my old students remember me. I think the most noteworthy thing I ever did in a class was fall off the edge of a podium mid-speech, but I hope some of the people I was lucky enough to teach will remember enjoying their course, even if they don’t remember me. One student once told me that I had singlehandedly made her love Chaucer, and I lived off that praise for a couple of years. It still remains one of the best compliments I’ve ever been paid. Anyway. Amid all the nostalgia, I’ve realised a couple of things: one, I still love anything to do with the Middle Ages, and two, I remember more about it than I thought I did. It’s like muscle memory, perhaps; the stuff that I spent so many years learning is still there, deep down. Even if I never use it again professionally, it’s great to have that fund of knowledge and folklore, that familiarity with a lost world, that facility with a written language that very few people – sadly – are bothered with these days. The same goes for all of us. No matter what your background is, what you studied at school or college, what you’re interested in, what you’ve done for a living, what you do for a living, what makes you happy – all of that stuff can be used to fuel your writing and feed your imagination. It can all be mined for inspiration. The more you have in your ‘tank’, the better equipped you’ll be to stretch your writing muscles, and the more agile your ideas are likely to be. I’ve worked as a butcher’s apprentice, as a lecturer and as a bookseller, among lots of other things. So, my imagination-pot is fully stocked. But my heart will always belong to the Middle Ages. And – since I’ve done nothing of note since yesterday besides hack away at ‘Eldritch’ and drink at least a litre of decaf, I’m going to leave you with my favourite clip from one of my favourite films – and, it must be said, a clip to which I often referred in my classes, back in the day. Work is going reasonably well on ‘Eldritch.’ It’s hard to unpick a plot with which you’ve been intimately familiar for years, only to recreate it slightly differently, but I’m managing. It’s slow, but it’s steady. I’ll get there. Good luck with all your endeavours today – particularly if it’s repelling the English with flying bovine missiles. This entry was posted in Writing News and tagged children's book, classic comedy, college lecturer, college tutor, comedy, drafting, editing, Eric Idle, Graham Chapman, John Cleese, Kniggits, literature of the Middle Ages, Medieval English Language and Literature, medieval period, Michael Palin, Middle Ages, Monty Python, Monty Python and the Holy Grail, Old and Middle English, rewriting, Terry Gilliam, Terry Jones, tutoring, using your interests as fuel for your writing life, work, work history, writing, writing a children's book on February 18, 2014 by SJ O'Hart. 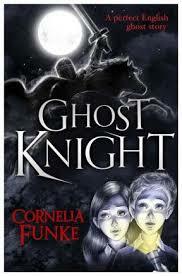 Cornelia Funke is not, for me, an ‘auto-buy’ author, despite the fact that she is a writer I deeply admire. There’s something slightly standoffish in her style, I think: something which gets between me and the words, like a film. I don’t know if this is something other readers experience with Funke, or if it’s just something which troubles me alone, but it sometimes stops me enjoying her writing as much as I should. 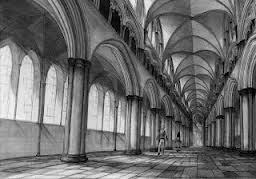 and there are ghosts, details from medieval history, architecture, tombs, effigies, spooky old cathedrals, graveyards, grandmothers who use their crutches as weapons, love and sacrifice, treasured friendship and adventure… but, I feel, it fell foul of the old ‘Funke film’ thing again. It was a wonderful story, but told at a distance. I didn’t feel emotionally involved with anyone or anything in it, and that was a shame. One of the only people who believes his crazy story about bloodthirsty ghosts is Ella Littlejohn, a fellow pupil at Jon’s school. She is used to the weirder side of life, as her grandmother Zelda is a witch who lives in a house full of toads. 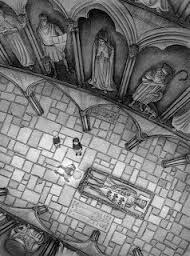 Ella gives Jon the idea to go into Salisbury Cathedral and beg for help at the tomb of William Longespee, whose ghost – it’s rumoured – appears to aid the innocent when they are in grave danger. Legend has it that Longespee has something dark on his soul which needs to be expunged, and by continuing to do good deeds even after his death, he may be able to repay his debts and find peace. Figuring he has nothing to lose, Jon follows Ella’s advice. 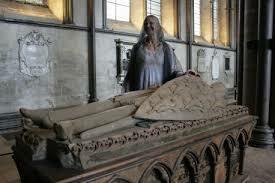 Author Cornelia Funke at the tomb of the real William Longespee, in Salisbury Cathedral. Longespee is indeed raised, and he agrees to come to Jon’s aid. But why are ghosts hunting Jon in the first place? And what is the truth behind the horrible accusations being made by yet another ghost, that of a young chorister who fell to his death from a window a century before? Can it be true that there is more to Longespee’s damnation than he is willing to admit? For a gut-wrenching moment during this story, I began to wonder if the children would have any role in the action at all. We see them being saved through the actions of adults, several times, and I did worry that they’d be excluded from a central place in the drama. However, the ultimate resolution hangs on Jon, and his courage, and that was enough to keep me satisfied. One of the stranger aspects of the narration – and, perhaps, the cause of the ‘Funke film’ that keeps me separated from the heart of the story so often in her work, this book included – is the fact that Jon narrates this story at several years’ remove from the events described in it. He makes several wistful, ‘in the old long ago’ type remarks when he introduces us to a new person, or a new thing, and it did throw me out of the narrative world a little. I can’t see any reason for choosing to narrate the story this way: it would have worked better if it hadn’t been done like this, I think, because it removes a bit of the tension. Despite this, the world is beautifully evoked and delicately described, and the ghosts – particularly the ones hunting Jon – are properly scary. Jon is supposed to be eleven years old during this book, but at times I really felt as though the narrative voice belonged more properly to an older teenager. This, of course, may be as a result of the fact that it is the adult Jon who narrates the book, which again makes me wonder why Ms. Funke chose to write it this way. His voice sounds old and world-weary at times (which makes sense, somewhat, when you get to the end of the book, but which is simply confusing at the start), and there are also hints of romance, which I usually feel are unnecessary in a children’s book – certainly one aimed at the 8+ market, as this one is. One thing I must say about ‘Ghost Knight,’ however, is this: the subplots, and the little details, and the stories-that-aren’t-quite-told, such as the tale surrounding the ghost of the mason’s apprentice, are absolutely fascinating. I yearned to know more about the bit-characters in this book, and that has to be a mark of good, solid writing. Despite its strange framing, and slightly ill-fitting narrative voice, then, I would recommend ‘Ghost Knight,’ and I would be fascinated to know what a younger reader would make of it. I think I should go and dust off my old copy of ‘Inkheart’ and give it another go, too… perhaps I can have a ‘Funke-delic’ weekend. May you find time to read this weekend, and may the words you choose reward your effort. This entry was posted in Book Reviews and tagged 'Funke film', books for 8+, child narrator, children's book, Cornelia Funke, distance between reader and text, Ella Littlejohn, Ghost Knight, inability to get lost in a text, Inkheart, Jon Whitcroft, narrative voice, Salisbury Cathedral, vengeful ghosts, William Longespee on February 15, 2014 by SJ O'Hart. Oh, thank goodness for this book. Thank goodness. 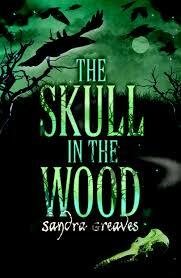 I hadn’t realised how much I’d missed good, solid, decently scary, folklore-tinged, well-written storytelling until I read this book, Sandra Greaves’ debut novel. Published late last year by the wonderful Chicken House, it’s a gem. I hope the author is planning to keep writing, and that there are plenty more stories where this one came from. The novel is narrated through the alternating viewpoints of two primary characters, thirteen-year-old cousins Matt and Tilda, who are forced to live together during a particularly charged and emotional time in Matt’s life. His parents have just separated, and his father has removed himself entirely from the family, leaving Matt to deal with his mother’s new boyfriend Paul (the ‘four-eyed pillock’, as Matt memorably describes him on page 1.) Matt, understandably, struggles to cope. He decides to decamp to his uncle’s house – the widower of his mother’s late sister – in order to get some space. This brings him into close contact not only with Tilda, but with Kitty – his bubbly, beautiful five-year-old cousin who is, in so many ways, the focal point and the heart of the story. This was a delicious story – and I mean ‘story’ in the old-fashioned sense of the word, a satisfying read which ticks all the boxes and sends the customer home singing, with no bells or whistles or unnecessary faff. It had everything I adore in a book, and more. I loved the mingling of the supernatural – and the darn spooky supernatural, at that – with the ordinary, everyday existence of the characters; I loved the ‘city boy’ Matt and his inability to get into the flow of life on a farm. I adored beautiful Kitty and her sparkly, sunny ways. I even liked Tilda, bruised and battered since the death of her mother, forced to take on too much responsibility, afraid that the life she knows and loves is about to be taken from her – and with nobody upon whom to focus her anger besides her cousin. In so many ways this story reminded me of Alan Garner’s work; it’s not in the same league in terms of language, at least for me, but it definitely comes from the same mindset. 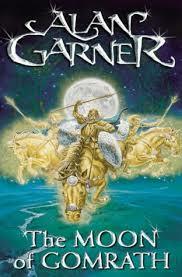 It features so much stuff I love, which I also find in Garner’s work: a traditional setting, taking in folklore and folk wisdom (I loved the ‘gabbleratchet’, a version of which is also found in Garner’s majestic ‘The Moon of Gomrath’); confused and frightened children facing down a supernatural power vastly superior to themselves; innocence threatened, and deep family secrets coming to the fore. The central motif of the story – the actual skull itself, which has lain in Old Scratch Wood for so many years – is thrillingly spooky. I loved the way Sandra Greaves uses the characters’ inability to appreciate the changes in the skull as a way of pointing out to the reader that it contains some deep and disturbing power, and I loved the way the gabbleratchet is described. It’s different, while remaining completely true to its traditional roots. A reader doesn’t need to be familiar with English – or, I suppose, British – folklore to understand or appreciate the power of the gabbleratchet, as it’s so well described and perfectly utilised within this story, but if you do, it can only help to heighten your appreciation for the finer details in the story. I loved, too, that the raising of the gabbleratchet is not the only problem the children face – there are also ‘real life’ issues for them to deal with, including separated or deceased parents, parents taking new partners, families with money worries, devastating illness and fears for the future, which end up being harder to sort out than the supernatural. This book is well-written, expertly handled and perfectly realised. It has great pace and suspense, as well as emotional heft. I know it’s early days for 2014 yet, but I don’t expect to read many books this year which will top this one. This entry was posted in Book Reviews and tagged Alan Garner, book review, book review Saturday, British folklore, Celtic mythology, Chicken House, children's book, Dartmoor, debut novel, excellent children's books, family, folklore, gabbleratchet, Gabe, Kitty, love, Matt, mythology, Sandra Greaves, supernatural, The Moon of Gomrath, The Skull in the Wood, the supernatural in children's books, the Wild Hunt, Tilda, traditional storytelling on January 25, 2014 by SJ O'Hart. In this instalment of Emmeline and her adventures, we see Thing getting crafty, Emmeline getting pushed to her limit, and a glimpse at the Baddie who is intent on using her to further his own ends. ‘Look, Thing, we can’t bring you with us! You have to understand!’ Sasha was busily packing away some sort of chart, so big that it would have covered a wall. Thing couldn’t read well enough to understand what was written on it, but a strange symbol near the top of the sheet caught his attention. It was like a large round eye with several wiggly ‘legs’ coming out of it. Something about it made him feel uneasy. ‘You’d like that, wouldn’t you,’ muttered Thing. ‘Pardon?’ said Sasha, confusion creasing her face. ‘You know I can’t,’ said Sasha, straightening up and releasing her grip on Thing’s arms. 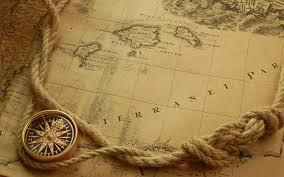 ‘Does it ‘ave anythin’ to do with that weird eye-thing, on the map?’ said Thing, hazarding a guess. ‘What do you know about that?’ Sasha stood perfectly still, and Thing didn’t think he was imagining the look of frozen fear in her eyes. ‘Yes,’ said Sasha, but Thing saw a tiny twitch at the corner of her mouth that told him she was lying. ‘Interestin’,’ said Thing. Just then, Edgar came back into the room. Someone had rebandaged his arm, and given him some sort of pain-killing medication. His colour was back, and there was a sparkle in his eye. ‘Are you ready?’ he asked Sasha. ‘We’ll be docking within the hour, and we won’t have time to waste. We’ll need to get to – Oh. Hello,’ he said, finally noticing Thing. 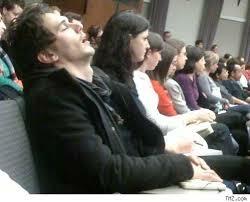 ‘What are you still doing here?’ He smiled down at him, and only his twitching fingers gave away his impatience. ‘Emmeline and the what?’ he said, glancing up at Sasha. ‘The sun is warm,’ said Sasha, cryptically, focusing on Edgar. ‘But there is ice on the breeze,’ he finished, blinking. ‘That’s not what this says.’ Thing nodded down at the satchel in his hands. ‘That’s nothing! That’s simply Emmeline’s bag – all it has in it are her tricks, her gimmicks, her – her little means of keeping herself safe!’ Sasha frowned, throwing her hands up in the air. ‘Yeah, that,’ agreed Thing, ‘and also some very interestin’ papers on – ice.’ He felt his way into the next thought, very carefully. ‘Ice, and stuff what lives in it.’ Sasha’s eyes burst open like someone had slapped her on the back. ‘Guess you’ll have to bring me along. ‘Sfar too much to explain before the ship makes landfall,’ said Thing, with a sniff. ‘Shouldn’t think my parents’ve worried about me for about ten years or so,’ he said. Edgar blinked. ‘Not sure, ‘xactly. ‘Bout twelve, there-thereabouts.’ He didn’t trust himself to look up, but he felt Edgar and Sasha share a look, one that was full of stuff that grownups did, tears and pity and disgust and all that stuff. Thing had long learned to ignore it. ‘Well – look. If we bring you – and it’s only an if – will you tell us everything that Emmeline discussed with you?’ Edgar’s words had sharp edges. ‘We need to see those documents!’ hissed Sasha. Hours were passing in Emmeline’s prison, but she had no way of knowing how many. All she knew was the cold was growing stronger, like a wild animal getting more and more enraged. It had started biting at her a long time ago, taking mouthfuls of her warmth away with it and devouring them, leaving Emmeline with nothing but her bare bones. An empty dish lay beside her, which had been filled with warm porridge-y gruel a while back – Emmeline had eaten it, but it hadn’t helped to take away the gnawing inside. She was in a constant state of half-asleep, never sure if what she was seeing or hearing was real, or dredged up out of the depths of her mind. Vaguely, she heard a clatter, and a gust of bitter wind on her face. ‘Woohoo! Girlie! Wakey wakey!’ Emmeline didn’t hear this, and so she didn’t move. ‘Here, Joe – she’s not doin’ anythin’. Give us a hand with this, willya?’ One of the men dropped down into Emmeline’s compartment, catching his breath at how cold it felt down there. For a split second he gazed at Emmeline’s small form, her bare legs beneath her grubby dress and her light jacket which didn’t even fasten properly, and shivered inside his heavy winter coat. ‘Get ‘er up here, Baker!’ called a voice from above, snapping him out of his thoughts. Quickly, he bent and picked Emmeline up, and within a few seconds she’d been handed out through the trapdoor and laid out on a couch in the body of the ship. Her skin was ice-cold to the touch, and her eyes were firmly fixed shut. The bits of her skin that could be seen were a uniform grey, and her breaths were shallow. ‘Now, look here –‘ began the other man, his face reddening, but he never got to finish his sentence. ‘If one of you fools doesn’t get that child covered up and warm, this instant, you’ll all be forcibly unshipped in Newfoundland without a stitch of clothing.’ Nobody moved. ‘And I will not be paying any of you so much as a red cent.’ Instantly, the cabin was alive with movement. Someone grabbed a blanket and wrapped Emmeline snugly in it while someone else started warming up the stove to make her some soup. A third dispatched himself to find some thick clothing, and a fourth threw some sticks into the furnace. Gradually, some pink began to creep back into Emmeline’s face and her eyes started to move, ever so slowly, behind her eyelids. ‘Gentlemen. I want you all to feel for this child as though she were your own,’ announced the pale-faced man, looking around at the scar-faced, tattooed, gap-toothed crew he’d gathered around him. ‘On second thought, actually, I will say this: I’d like you all to feel for this child as though she were the only, treasured daughter of your employer – which, in so many ways, she is – and I want you all to know that whatever harm comes to this child will be revisited upon your own persons, times ten. If she freezes to death, you will be encased in a glacier having first been whipped raw. If she starves, you will be force-fed snow until you burst. If a hand is laid upon her body with the intent to cause her pain, that man will lose all four of his limbs and be left on the ice – alive, mind you – as a snack for the next passing polar bear. Am I clear?’ The listening men stood to attention, each of them focused utterly on the weird white-skinned man they’d allowed to convince them to come north. At this time of year? some of them had scoffed. He must be mad! But he’d shown them all the colour of his money, and, one by one, they’d caved. And now, here they were. This entry was posted in Writing News and tagged being kidnapped, children's adventure story, children's book, Emmeline, Emmeline and the Ice-God, friendship, kidnapping, NaNo, NaNoWriMo, NaNoWriMo project, Thing on December 13, 2013 by SJ O'Hart. A dumbfounded Emmeline stood on the deck of the giant ship and watched the dark speck that was Watt, several hundred feet below. People all around her were yelling, shouting their farewells, pleading for telegrams and letters and visits and lots of other things, but Emmeline saved her breath. All she wanted from Watt was for him to come striding up the gangplank and bring her home, and she knew that was completely pointless. Shouting and shrieking about it would make less than no difference, and so Emmeline stayed quiet and still, like a small forlorn statue. Don’t make the mistake of thinking that she wanted to go home out of love, or affection, or loneliness, or anything like that. She wanted to go home because that’s where her books were, and she didn’t like being removed from them against her will. 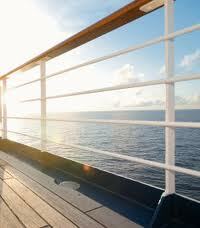 As she stood on the deck of that ship, she was an angry and humiliated girl, not a lonely and sorrowful one. Or, at least, that’s what she’d have you believe. Emmeline sighed and leaned further out over the railing. She decided to wave, on the off-chance that Watt was looking, and then she stepped back out of the crush, her satchel carefully clutched to her chest. As she walked across the boards toward the cabins, a sudden sickening vibration under her feet almost knocked her flat, and she heard a man nearby cry out with what sounded like joy. At sea, Emmeline thought as the guffawing moustache-wearing gentlemen passed her by. Meaning lost or confused, or both. ‘Apt,’ she said, to nobody in particular. Emmeline looked around. There was nobody within ten feet of her, and absolutely nobody looking in her direction. The only things she could see were a few carefully welded benches, a flotation device or two bolted to the wooden wall in front of her and a curious seagull, looking at her sideways. ‘Where are you?’ she ventured, clutching her satchel close. 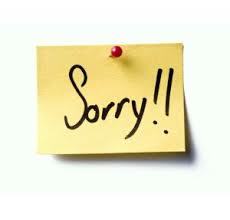 ‘I’m sorry. Are you talking to me, now, or is there someone else with you?’ The metallic voice sounded no closer nor any further away, but every bit as strange as it had the first time Emmeline had heard it. ‘’M not strange,’ said the voice, now becoming a little less hollow-sounding and a lot more clear. ‘I’m perfickly normal, thank you very much. And I’m over here.’ Something moved to Emmeline’s left, and her gaze was caught by a scruffy head emerging from a grating in the wall. This head – the colour of whose hair was impossible to determine – was swiftly followed by an equally grubby body dressed in dusty overalls. The fingernails of this creature were clotted with dirt and oil and his – its? – face was smeared with grease. As Emmeline watched, he slithered out of the hole he’d been hiding in until all of him – and there wasn’t much – was standing in front of Emmeline with a hand held out in greeting. ‘I’m sorry?’ said Emmeline, looking at his outstretched hand as if he’d offered her a used handkerchief. ‘Yeah, me too,’ said the boy, in a weary voice. Emmeline blinked, and wondered what was going on. ‘Sorry for what?’ she ventured, after a few silent moments. ‘I’m quite sure we weren’t talking about anything,’ replied Emmeline, adjusting her grip on her satchel, and casting her eye around to see if there were any adults in the vicinity. Not that she had much use for adults, normally, but they could on occasion come in helpful. As she’d expected, however, most people were still hanging over the railings, and those that weren’t engaged in tearful goodbyes had already retired to their cabins. She and this strange dirty boy were like a little island in a sea of handkerchiefs and snot. ‘How on earth would you guess it?’ said Emmeline, taking a step back. ‘Bet I could,’ said Thing, grinning. His teeth were nearly as filthy as his face. ‘What do you mean, ‘no’?’ said Emmeline, wishing she had a heavy book to hand in order to throw it at the boy’s head. ‘My name is not Agnes.’ Emmeline felt her teeth start to grind, all by themselves. ‘No. It’s none of those names. You’re not even on the right letter.’ Emmeline’s arm was starting to hurt from holding her satchel so tightly, and she really wanted to find her cabin and go to sleep. ‘You said Lily already,’ sighed Emmeline, shifting her satchel to the other arm. ‘I was just testing,’ grinned Thing. ‘Do for what?’ Emmeline’s patience was on its last legs. ‘Thanks for the tip,’ said Emmeline as she squeezed past. Thing smelled like smoke and dirt and sweat, and as soon as she was past him he swung himself back into the hole in the wall. Despite herself, Emmeline couldn’t help but be curious about where it went. ‘Bye, now. I’m sure I’ll be seeing you again,’ he said, as he waved and disappeared from view. The grating clanged shut and Emmeline was by herself again. This time, she felt even more alone than before, and she wasn’t sure why. This entry was posted in Writing News and tagged children's book, children's novel, creative writing, Emmeline, Emmeline and the Ice-God, Emmeline Widget, NaNo, NaNoWriMo, NaNoWriMo project, novel excerpt, novel extract, writing a children's novel on November 15, 2013 by SJ O'Hart.